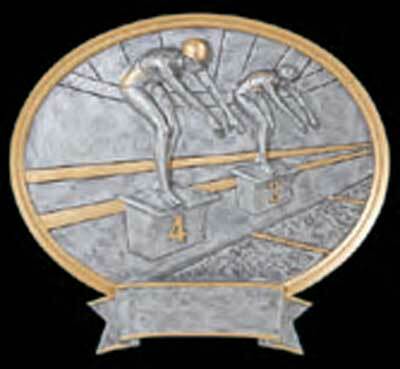 Thank you for stopping by, we hope our selection of swimming plaque awards will meet your approval. 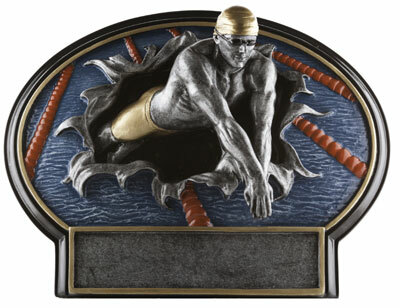 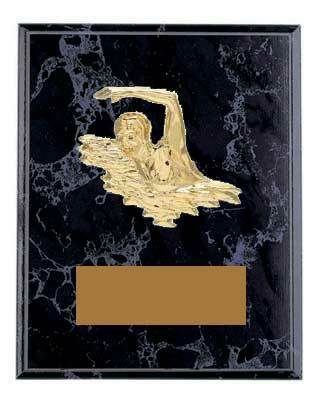 The swim plaques below include the lovely legend oval resin swim plaques as well as our black marble finish swimming plaques, cherry finish swim plaques and the stunning solid walnut swim plaques. 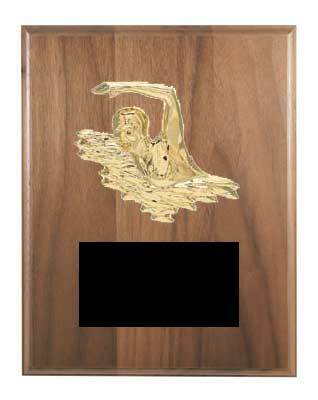 Swimming plaques may be purchased in 5" by 7" up to 12" by 15", we have the perfect size and price for all your swim meet events. 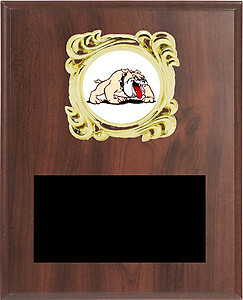 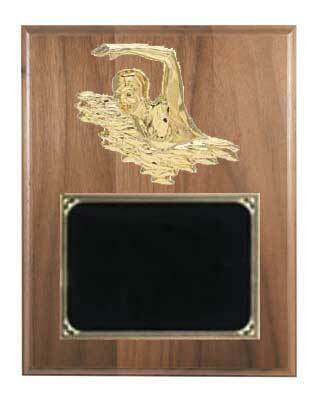 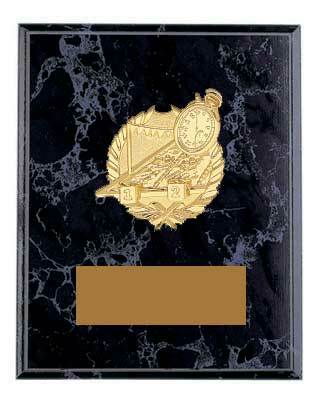 All swim plaques include 40 characters of free engraving, if more is needed it's only 7 cents per character. 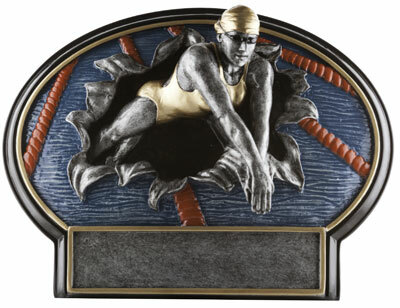 Please click on a swim plaque below for more information about our plaques. 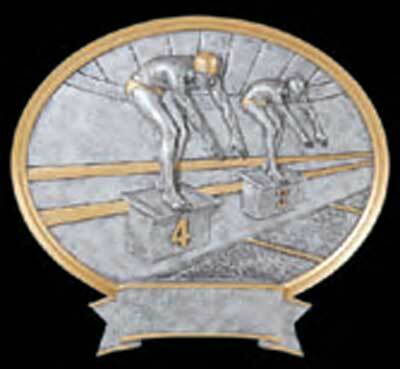 Our friendly staff will be happy to assist you with all questions, call 1-800-787-8777. 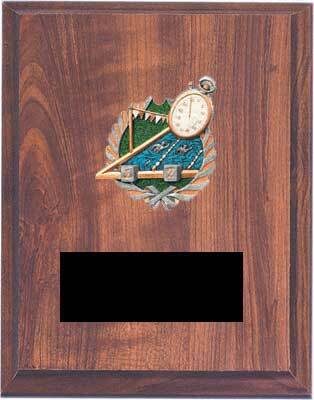 If after hours leave a message with a daytime phone numbers and we will get back to you the next working day. 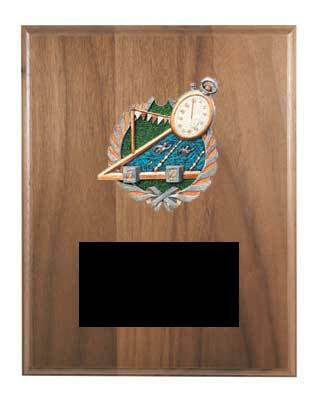 If you have any questions or would rather place your order by phone please call 1-800-787-8777 or send an email.